So, it’s New Year’s Eve tomorrow and for some this means a wild night out, lots of alcohol and partying until the small hours. But for some, especially parents, it means a cosy night in. What better way to bring in the new year than from the comfort of your sofa with plenty of warm blankets, leftover Christmas treats and some festive TV to watch? 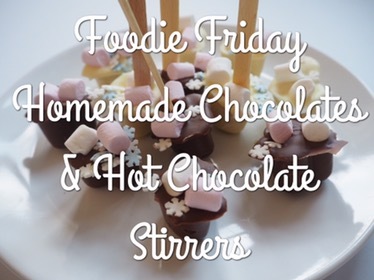 These homemade chocolates and hot chocolate stirrers are simple to make and will add that special something to your night in. -pop out of the moulds and enjoy alone or as stirrers in a mug of hot milk! And that’s it! Quick and simple chocolate treats to enjoy!